HyFlex EDM is the newest innovation in rotary endodontics, featuring unmatched strength, flexibility and cutting efficiency for the preparation of even the most complex canals. Fabricated using EDM (electrical discharge machining) breakthrough technology, HyFlex EDM offers up to 700% greater fracture resistance compared to traditional Niti files (Int Endod J. 2015 May 22. doi: 10.1111/iej.12470). 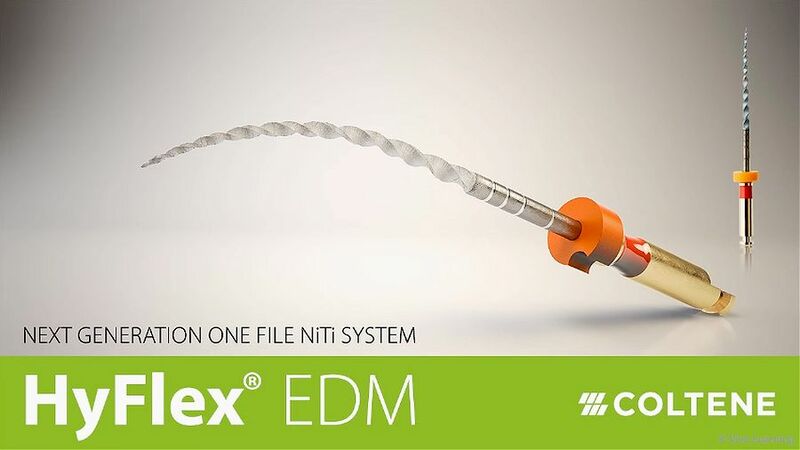 HyFlex EDM features OneFile, designed to increase the number of cases that can be prepared with confidence using just one or two HyFlex EDM files. Provided as a modular system of sterile endodontic instruments, HyFlex EDM includes Shaping, GlidePath, OneFile, Orifice Opener, and Finishing files.